Buying a laptop for business use is very different than buying one for education or casual consumer use. Priorities change, but the need for a great laptop remains. Whether it's from Dell, Microsoft, Huawei, or HP, there are some truly great business laptops out there. These are the ones to buy. This is a true powerhouse of a business laptop. It's packing powerful internals, it's secure and durable, but it still has looks that will turn any head in the meeting room. There are plenty of ports on the sides, it supports a digital pen and perhaps best of all, you can spec one up with LTE so your mobile office is connected wherever you go. The 2019 X1 Carbon isn't set to be available until June, but the current model is still a fine business laptop. 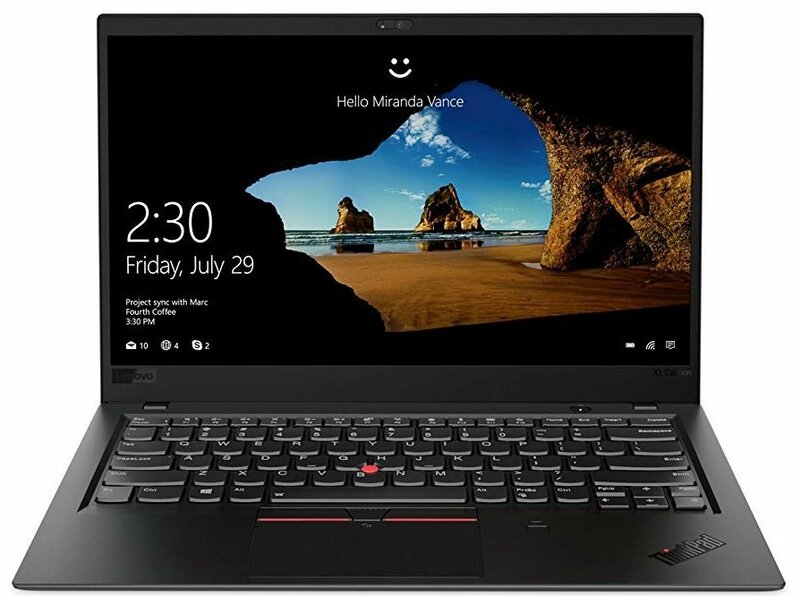 It's as close to indestructible as you'll need in a business laptop, has powerful internals, a great display, and Lenovo's legendary keyboard and red mouse pointer. And thanks to USB-C fast charge you can even top it up with a power bank. And it also has an LTE option available. The Surface Pro is a tablet. It's also a laptop. It's probably the very best 2-in-1 Windows device ever made. You have the flexibility to use it like a convertible but completely free of a keyboard. And this 'tablet' packs a full laptop's worth of hardware inside. Throw in a pen, kickstand and a terrific looking display and you have an incredibly versatile business machine. The XPS 13 turns as many heads now as it did when it was first launched, but the 2019 edition has made a key improvement: The webcam is back where it should be. No more conference calls looking up your nose! Add to this latest Intel processors, up to 16GB of RAM and 1TB SSD with exceptional battery life, and the XPS 13 continues to be a winner for the business crowd. Huawei is still better known for its phones than its laptops, but ignore them at your peril. Huawei is making great laptops that in most cases match or better the competition. It has a gorgeous 3:2 aspect ratio display, 8th Gen Intel processors and dedicated NVIDIA graphics. Add in Windows Hello biometric login and great speakers, the MateBook X Pro is great for work and play. Gone are the days of business laptops being some boring black boxes that weighed a lot and were as thick as an encyclopaedia. Stunning laptops like the Huawei MateBook X Pro and the 2-in-1 of choice, the Surface Pro 6 show that business laptops can also be stylish, and useful when you're done working for the day and just want to relax. It's a great time to be buying for your business needs. When looking at a mobile workstation for business use, being connected everywhere is a pretty significant bonus. HP's Elitebook x360 and Lenovo's Thinkpad X1 Carbon both have options for LTE data connectivity built right into the laptop. It's still something of a rarity to have cellular connectivity in a laptop, so if you want to reduce your reliance on Wi-Fi while you're working out of the office, either of these should be top of your list. Intel's integrated graphics have come a long way, and while business buyers probably aren't thinking about playing Fortnite, there's plenty of reasons to need extra graphics horsepower. Video work, 3D graphics, technical drawings and CAD files will all perform better if you've got stronger graphics power on your laptop. Huawei took the positive step of using the NVIDIA MX150 in the MateBook X Pro. In this type of laptop it's about as much as you'll find anywhere, but even though it's a mobile GPU it's still pretty strong. It can even play some games when you're done for the day! All of these laptops are a great fit for the business user, but each of them in a different way to the others. While we like the HP EliteBook x360 the best as the top all-rounder, it's not necessarily the best fit for everyone. You need to narrow down your priorities in a business laptop, whether that be connectivity, graphics power, battery life, or size and weight. For example, the Surface Pro 6 is the most portable choice here, but as yet it doesn't have mobile connectivity, it relies on integrated graphics and it's certainly not as durable as something like the Lenovo Thinkpad X1 Carbon. The EliteBook x360 is our pick for the the best balance here, with great battery life, durable hardware and LTE connectivity.